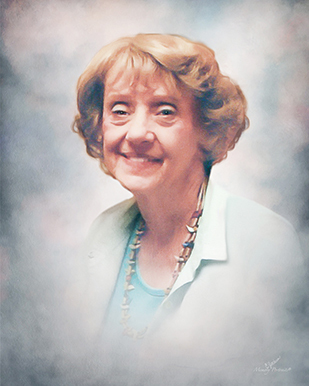 Services are scheduled for 10 a.m. Wednesday, Jan. 2, 2019, at First Evangelical Presbyterian Church for Leigh Elaine Rountree of Artesia. Rountree, 74, passed away Tuesday, Dec. 25, 2018, in Artesia. Daniel Phelps will officiate the services, with interment to follow at Woodbine Cemetery. Pallbearers will be Houston Branch, Joey Walker, Barry Pearson, Avery Jamieson, Jerry Don Fanning and Larry Young. Honorary pallbearers are David Torres, Bill Netherlin, Garrett Garcia, David Vandiver and Joel Carson Jr.
Laney was born May 18, 1944, in Artesia, the daughter of Howard Edward and Edna Irene (Nicholson) Kissinger. She grew up on the family farm, going to grade school at Atoka School, then transferring into Artesia for junior high and high school. She took piano lessons from an early age and always had a love for music. Laney graduated from Artesia High School in 1962, where she was active in the orchestra, playing violin. She attended Eastern New Mexico University for a short time before meeting her lifetime love, Wiley Rountree, while on summer break in Artesia. The two were married Sept. 15, 1965, in Artesia. Laney was a music teacher and owned Laney’s Music Studio, where she taught piano and violin to over a hundred students in the Artesia area. She was very active in the community. She was a member of Artesia Story League and loved to visit classrooms and tell stories for the holidays, almost always dressing in character. She was the director of Artesia Talespinners, a Story League club for teenage girls, helping them learn to memorize, tell, and write stories and poems. Laney was the choir director at First Christian Church for many years, where she enjoyed singing, directing, and playing the piano for the congregation. It was here that she started a girl choir singing group, Laney’s Angels, which would perform at church and community events. She was a member of The Classique Ensemble, playing violin with a string and wind group of local musicians. She belonged to the Artesia Community Theatre and was both an actor and director, portraying many characters in musical and theatre productions. Laney loved stepping onstage and becoming the character she was portraying. She even directed her four grandchildren in several children’s theatre productions. She was also a member of P.E.O. Chapter J and an avid animal lover, with a special fondness for cats. She loved college football and baseball, and her favorite team to watch was the Arkansas Razorbacks. Laney’s greatest joy was spending time with her family. She enjoyed family dinners and barbecues, shopping with her girls, and playing a family game of Monopoly. She loved having the grandchildren over to make crafts, bake, play games or play outside, and have sleepovers. She enjoyed attending their awards assemblies, concerts, games and recitals, and always called or texted them to find out what was going on in their lives. As they got older and could drive, she looked forward to them coming over to her house with their friends for lunch during the school year. Survivors include her husband, Wiley C. Rountree III, of Artesia; daughter Kandi Branch and husband Tate of Artesia; son Bill Rountree of Artesia; and grandchildren Callie Rountree, Houston Branch, Kassidy Branch and Marleigh Branch. Memorial contributions may be made to Paws & Claws or the Humane Society.